When I was traveling and teaching classes during the summer I was talking about contacting customers long after their quilting was done. One student said that she only gets a customer’s phone number and then throws it out when she is done with the quilt. I was dumbfounded! I asked if she ever sent a follow up letter or card or contacted her customers during the year. She said no, that she never had and never thought to do so. When your customer brings a quilt to you to quilt, do you collect as much of their contact information that you can? Complete mailing address – your customer may live next door, down the street or in the same town. Get this information from them. Email address – yes, you need this too. Social Media – do they do FaceBook, Twitter, etc. If so, get this information. Birthday Month – you don’t need to know their exact date or year, but the month is important. Do you accept text messages? Do you accept photos via text? If so, add this to your customer information. You may want to ask what is the best way and the best time to contact them. Yes, this may be extra work for you, but it is IMPORTANT! The obvious reason you need all of this information is to let your customer know that their quilt is ready to be picked up. If you can’t reach them via phone, at least you have other contact info options such as email and their home address. And yes, there have been times when I have had to send a letter, via regular mail, to let someone know their quilt is ready. I have also sent text messages and, literally, have had customers stop what they are doing to come over and pick up their quilt. But here is where you can set yourself apart from other professional quilters in your area. Because you have your customer’s complete contact information you can send them notices, updates, special offers, etc., during the year. You can establish a “relationship” with your customer which keeps YOU at the top of THEIR list when it comes to machine quilting. I recommend that about every three months send your customers something via regular mail. This “something” can be as simple as a note, maybe revolving around the seasons or local events. It’s Fall! The leaves are falling, the days are getting shorter and we are getting ready for winter. The weather is getting chilly out – perfect for wrapping up in a quilt or two! Now is the time to bring your quilts to (fill in your name or business name) for quilting! Bring your quilts by (date) and receive (special offer). PS – Christmas is coming! 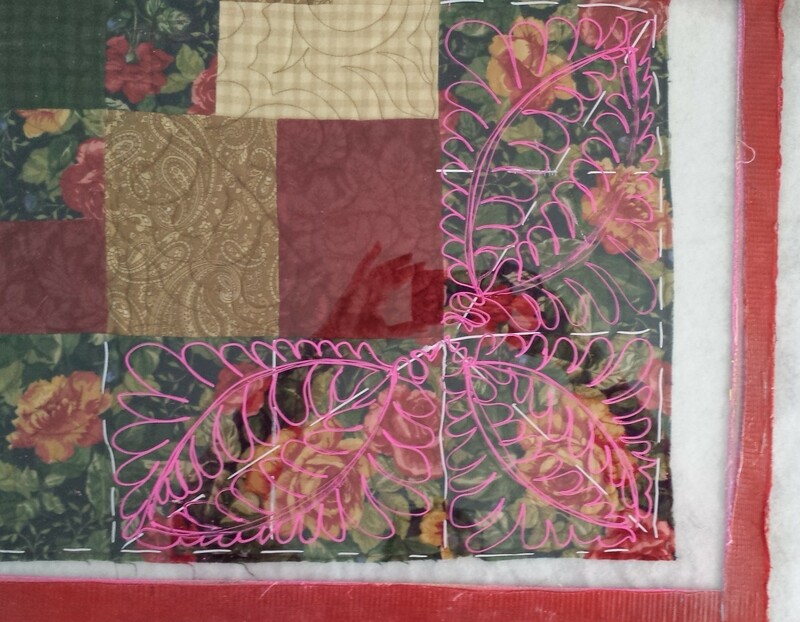 Get your gift quilting done early this year! Call (phone number) to make your appointment. You don’t have to be an eloquent writer! If you are a scrapbooker you could dress up and personalize the cards as much as you want. All you need is something to remind your customers that you exist and are ready to work on their quilts. Note: we will talk about special offers in a future blog post. Customers in the last six months, all of 2014, all in 2013, and as far back as you want to go. Then decide which list to send the cards to. I would definitely send a card to all of my customers for 2014 and 2013. Then, depending how many cards you want to make, send them to customers from past years. I would also note when I sent these cards out and see what kind of response I would get from them. Even if only one customer responds – that is one more quilt and more $$ you will earn! Why would you want to know what month your customer was born in? Because you can then send them a birthday card – a card you make or a purchased card – with a special birthday offer. Send the birthday cards out early in the month and date the special offer for the whole month. For some people, this may be the only birthday card or greeting they receive!